Dennis Murphy (kneeling) talks to the Pallotti boys basketball team during a timeout at the Charm City Challenge mixer at DeMatha Catholic last December. Pallotti announced that Murphy will not return as coach after six seasons. Dennis Murphy, who guided St. Vincent Pallotti High boys basketball the past six seasons, will not be returning as coach next season. Murphy went 95-77 at the Laurel private school, including a 14-15 mark this past season. The Panthers went 9-9 in MIAA A play, missing the postseason by a game. Pallotti defeated eventual A semifinalists Boys’ Latin School (twice) and McDonogh School during the season. The Panthers also defeated A quarterfinalist Annapolis Area Christian School and eventual B champ Gerstell Academy. Pallotti had its finest season under Murphy in 2017-18 (23-11), reaching the MIAA A Conference playoffs and finished No. 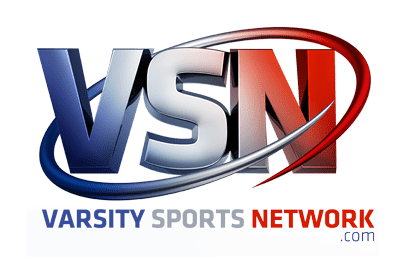 9 in the final VSN Top 20 poll. The Panthers defeated then-No. 1 St. Frances Academy during the regular season, before dropping a 56-54 decision to eventual MIAA A finalist Boys’ Latin in the playoffs’ opening round. 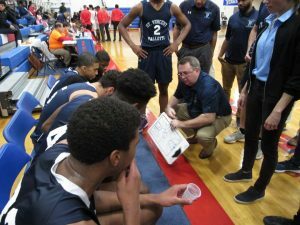 Before coming to Pallotti, Murphy served as an assistant at northern Virginia’s Bishop O’Connell under Joe Wootton, son of legendary DeMatha Catholic coach Morgan Wootton. A retired U.S. Marine, Murphy also served as an assistant at Catholic University and St. John’s College (D.C.) and Paul VI (Va.) high schools.